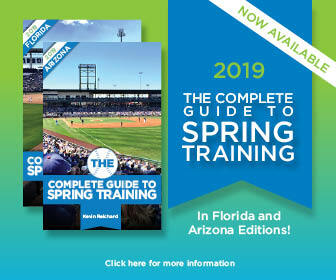 Highlighting the Twins’ 18 home Grapefruit League games will be three contests against the Boston Red Sox (March 1, 18 and 22); a game against the Washington Nationals (March 14); a game against the Toronto Blue Jays (March 10); a game with the New York Yankees (March 24); and Minnesota Day against the Philadelphia Phillies (March 3). The Twins will conclude their 2019 spring training home schedule when the Colorado Rockies make their first-ever trip to Fort Myers on March 26. The Twins return to Minnesota to play the regular season opener versus the Cleveland Indians on March 28 at Target Field. Single-game tickets for the 2019 Spring Training campaign go on sale December 4. The Hammond Stadium Box Office at CenturyLink Sports Complex will open on Saturday, January 5.